German playwright Marius von Mayenburg and French author Noémi Lefebvre will be in conversation with British director Amy Hodge discussing their latest collaboration on The European Project. Looking at how economics and politics affect the individual, this collaboration follows up on 2017’s Brexit Shorts series. On 4 October, Les Fugitives will be at Heong Gallery in Cambridge to hold an event for Now, Now Louison for the last days of the collective exhibition DO I HAVE TO DRAW YOU A PICTURE, featuring drawings by Louise Bourgeois among others. Details of this event shall be confirmed in the newsletter later this month. 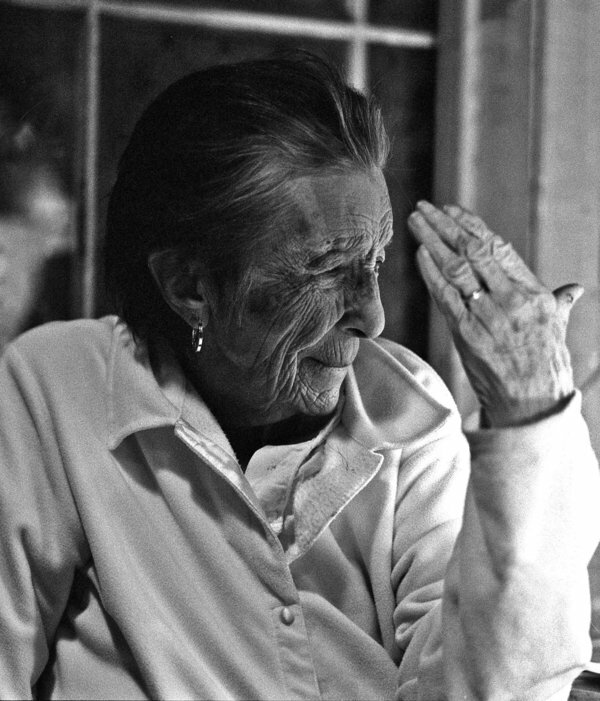 Join us at Tate Modern on 3rd October, to hear Michèle Roberts in conversation with Jean Frémon and translator Cole Swensen, discuss the art of the portrait in literature, the art of translation and, of course, the life and work of artist Louise Bourgeois. More information and tickets can be found on the Tate Modern website. On 13th June, Mireille Gansel will be in London for Language Acts and Worldmaking, taking part to a roundtable with Ros Schwartz, their fellow award-winning French translator Sarah Ardizzone, and French author and director Faïza Guène. On Wednesday 23rd, Mireille Gansel, her translator Roz Schwartz and author Michael Cronin will be discussing Gansel’s English PEN Award winning essay-memoir Translation as Transhumance at Trinity College Dublin. A conversation on the art and act of translation, this event is part of the stellar line-up of this year’s International Literature Festival. On Thursday 17th Noémi Lefebvre will be in conversation with Eimear McBride, as well as French and Canadian authors Pierre Senges and Hélène Frédérick. Sophie Lewis, translator of Lefebvre’s virtuosic Blue Self-Portrait, will be chairing the talk in part of a packed program at the Institut français’ second ever Beyond Words festival. On Wednesday 16th we are pleased to be joining Sarah Cleave of Comma Press; writer and publisher John Mitchinson; and the TLS’s commissioning editor Thea Lenarduzzi, at BookMachine London, to discuss the present-day boom in independent publishing, and its future prospects. A conversation between novelist, activist and Leverhulme Early Career Research Fellow at Warwick Preti Taneja and award-winning translator from the French Ros Schwartz. Mireille Gansel’s lyrical memoir Translation as Transhumance, translated by Schwartz, is an exploration of ‘the role of literature in making for a more interconnected and humane world’ (Eva Hoffman). The event will be of interest to anyone working in language, translation, literature or history, and will touch on memory, exile, ethics, poetry, writing as activism, and the power of translation to connect us all. A PEN panel discussion on 'humanist translation', poetry and memory. Renowned poets and translators discuss the estrangement every translator experiences moving between languages, and how translation can become an exercise of empathy between those in exile. Copies of the award-winning Translation as Transhumance will be available for sale and signing after the discussion. Cambridge PEN will also be taking the speakers out for a meal after the event and anyone welcome to come along to carry on chatting! Poet Sophie Herxheimer, translator Ros Schwartz and Les Fugitives founder Cécile Menon joined Bidisha at Jewish Book Week 2018 to discuss the relationship between writer, translator and reader. The discussion, Between the Lines, can be viewed here. Join us here for a short, celebratory conversation and reading of excerpts of Translation as Transhumance in French and in English, followed by drinks and mingling. Winner of an English PEN Award, the book presents a compassionate meditation on the art of translation that also serves as a moving account of wartime danger, hospitality, and human kinship. On Thursday 15th June 2017 Les Fugitives will be celebrating the publication of Noémi Lefebvre's debut novel Blue Self-Portrait at the Review bookshop, London, where the author will be talking about her work with critic Jonathan Gibbs (@Tiny_Camels). A smart, angst-ridden and comical exploration of 20th-century false notes, misprisions and earworms, this will be our third title. The event and publication are generously supported by the Institut français du Royaume-Uni. 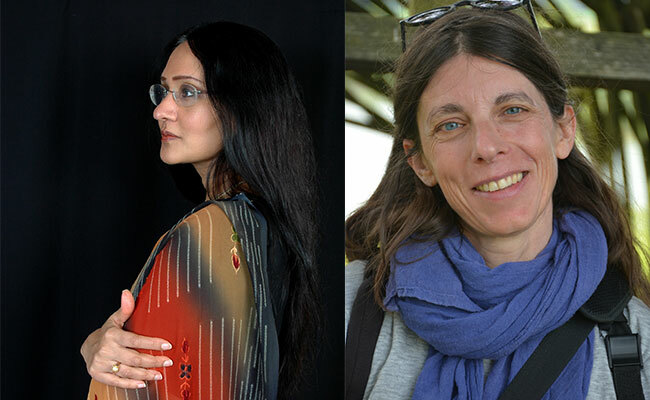 On Sunday afternoon 14th May, Ananda Devi will take part to 'French Passions', a collective event featuring Emmanuelle Pagano, best-selling author Mathias Malzieu and debut novel Goncourt winner Alexis Jenni, as part of the Beyond Words Festival, at Dulwich Books, London. We are thrilled to announce that Ananda Devi is coming to the InstitutFrancaisLondon on May 13th 2017 for the brand new series of literary and art events Beyond Words Festival! Book your tickets at www.beyondwordsfest.co.uk. In a talk chaired by translator and editor Sophie Lewis, Ananda Devi will speak about her novel Eve out of Her Ruins (Les Fugitives/CB editions), in conversation with fellow author Emmanuelle Pagano (Trysting, tr. by Sophie Lewis & Jennifer Higgins). Tango will with the common thread theme of their conversation, assorted with readings of excerpts in French and in English. Why tango? The question of the interaction between men and women is very much present in both Devi and Pagano's books. It is often problematic, sometimes to the point of violence, which is in keeping with the spirit of tango. In Pagano's work the idea of a choregraphy between the bodies of the lovers is fundamental: it can be seen through the way that look at each other or even through small gestures of affection, which become highly symbolical. In Devi's work, the atmosphere is one of physical attraction and of fascination, notably the fascination a strong young woman can generate in her male counterparts, who can never fully possess her.